As you age, your skin loses volume and elasticity, leading to fine lines and wrinkles, but you don’t have to live with your wrinkles. At Apex Medical Professionals in Fair Lawn, New Jersey, Walid Elkhalili, MD, and the team provide dermal filler cosmetic treatments using the Juvéderm® collection of fillers. The doctors want to help you look and feel your best. Call the practice today or schedule an appointment online to learn how dermal fillers can bring out the best in you. Dermal fillers are injectable gels that replace lost volume in your skin, reducing the appearance of thin lips, crepey skin, and wrinkles. The first dermal fillers were FDA-approved in 1981, and the technology and chemistry have only improved since then. The doctors at Apex Medical Professionals use dermal fillers from the Juvéderm collection, which use hyaluronic acid to plump and revitalize your appearance. The Juvéderm collection includes a variety of injectable dermal filler products specifically formulated to address different signs of aging and skin concerns, including thinning lips and wrinkles. What skin concerns do fillers correct? Your doctor can also inject dermal fillers around your eyes to improve the appearance of loose, crepey skin under your eyes. What should I expect while having filler treatment? Dermal fillers take slightly longer than Botox® or other injectable treatments. You can expect to spend up to an hour at your appointment, depending on how many injections you have. Your doctor has to gradually add the gel to your skin to ensure a natural appearance. 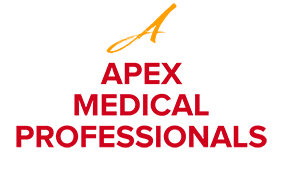 Your Apex Medical Professionals doctor begins your appointment by studying your face and your skin to identify the best locations for your injections. Then, after cleansing your face and applying a topical numbing cream to keep you comfortable, he starts to make the injections. Your doctor frequently stops to examine your face, massage the gel into place, and craft your beautiful, youthful appearance. How should I take care of my skin after having fillers? You don’t need to take any time off after having dermal filler injections, and many patients have the injections during their lunch hour. Dermal fillers don’t increase your sensitivity to the sun, but you should always wear sunscreen and take care to limit your sun exposure to reduce its damaging and aging effects on your skin. Call Apex Medical Professionals today or schedule a consultation online to learn how dermal fillers can help you look your best.